And lots of other tools. What would you like me to build for you? Certification programs ensure the competence of professionals through a measurement of skills and knowledge. Certification exams go beyond training by providing a measurement of knowledge and skills. A TYPO3 CMS Certified Developer has to have experience collected through projects, should know the architecture, design patterns, best practices, and a fair share of internals of both TYPO3 CMS and the extension framework. Can implement an extension completely in a state-of-the-art way. 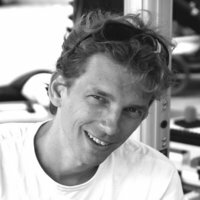 Writes clean code by following the TYPO3 Coding Guidelines (CGL), and is well versed in a wide range of topics, from the initial setup of an extension up to the point of publishing it in the TYPO3 Extension Repository (TER). The TYPO3 CMS Certified Integrator develops the template for a website, configures all the necessary extensions and creates the access rights for backend users. The TYPO3 CMS Certified Integrator does not install TYPO3 on the web server and does not program extensions. The TYPO3 CMS Certified Integrator knows how to configure the pre-installed TYPO3 using the installer. 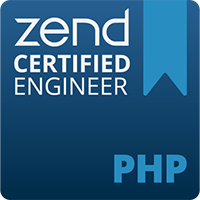 Zend PHP Certification is an industry-wide standard that recognizes PHP expertise and is a measure of distinction that employers use to evaluate prospective employees. Join the thousands of PHP professionals who have received official certifications. With this objective report in hand, you can decide who can improve the health of your site.